(Bloomberg)-In what merger-arbitrage experts might call a ‘take-under’, Nasdaq Inc. is paying less than half the price for what ISE traded for in its last price setting after it agreed to buy Deutsche Boerse AG’s International Securities Exchange for $1.1 billion, catapulting it to the top of the U.S. options market.The transaction could also help Deutsche Boerse fund another acquisition. The Frankfurt-based company is in merger talks with London Stock Exchange Group Plc. Deutsche Boerse has been trying to sell ISE, which it bought for $2.8 billion in 2007, since at least 2014. ISE runs three options markets, and so does Nasdaq. Together, those six exchanges handled 38 percent of U.S. volume in February, which exceeds the current leader CBOE Holdings Inc.’s 27 percent, according to data compiled by Options Clearing Corp. However, CBOE arguably retains the jewels of options trading: exclusive rights to contracts on the Standard & Poor’s 500 Index and the VIX, a CBOE product that tracks investor fear. period of time.”Nasdaq sees the deal closing in the second half of the year and plans to fund the transaction with debt and cash, according to a statement Wednesday. This is the New York-based company’s fourth acquisition in recent months, following deals for an investor-relations business in Canada, the Chi-X Canada stock market and SecondMarket, a platform for trading shares of private companies. Deutsche Boerse is keeping two parts of ISE: its ownership interests in Bats Global Markets Inc. and Digital Asset Holdings LLC, according to an e-mailed statement. 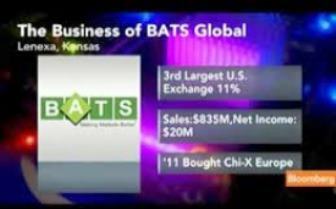 Bats runs exchanges for stocks, options and currencies. Digital Asset Holdings is trying to use blockchain, the software underpinnings of bitcoin, to dramatically speed up the processing of financial transactions. A stake in a key options-market utility will shift over to Nasdaq through the acquisition. Both Nasdaq and ISE own 20 percent of Options Clearing Corp., the clearinghouse for all trades of stock options on U.S. exchanges. Shareholders of OCC recently began receiving dividend payments, compensation for a regulatory mandate requiring its owners to contribute more capital to support the organization. Bats Global Markets, which handles just over 10 percent of U.S. options trading, has complained it’s unfair it doesn’t get those dividends because it’s not an OCC owner. Could Russia ETFs Be Making A Comeback? After a rough year, Russia ETFs have been trying to make a comeback and it seems they may have finally done it. 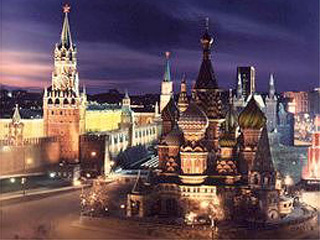 MarketsMuse blog update profiles the changes Russia has made that has helped boost Russia ETFs. This blog update is courtesy of Nasdaq’s article, “Russia ETFs Making a Strong Comeback – ETF News And Commentary“, with an excerpt below. 2014 has been a catastrophic one for Russian equities thanks to the ban imposed on the nation by the West following its Crimea (erstwhile Ukrainian territory) annexation in the first half. The massive oil price crash in the second half also spurred many investors to abandon the country’s equities in apprehension of significant economic losses. As a result, Russian stocks almost halved in price last year . However, things have changed in 2015. Like many other countries across the globe, Russia also entered into a cycle of rate cut in 2015 having slashed the key rate for the third time so far this year to ward off an impending recession. An upward movement in the local currency and cooling inflation has made this possible, per Bloomberg . In late April, Moscow reduced the key one-week interest rate to 12.5% from 14% and hinted at further easing if required. Notably, Russia generates about 50% of its revenues from oil and natural gas resources. So, this oil-dependent economy was crushed by the crude carnage last year. The Russian currency, the ruble, lost about 50% against the greenback in the second half of 2014 and stoked inflation. 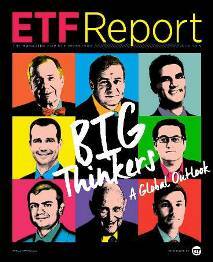 To keep reading about Russia ETFs comeback, click here. MarketMuse update is courtesy of MarketWatch. Virtus Investment Partners (NASDAQ: VRTS), multi-manager asset management business, announced that they have reached an agreement with ETF Issuer Solutions (ETFis) , a comprehensive platform for listing, operating, and distributing exchange traded funds. 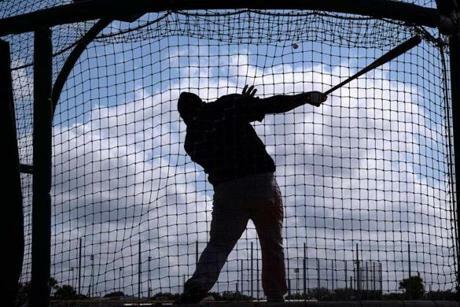 Virtus Investment Partners will acquire the majority interest from the deal. The transaction will provide Virtus with manufacturing capabilities for both active and passive ETFs, adding to its broad product line-up. ETFis, founded in 2012, recently introduced the industry’s first actively managed ETF investing exclusively in master limited partnerships, the InfraCap MLP ETF AMZA, +0.14% 1. It currently manages two other ETFs and has seven additional ETFs in registration with the Securities and Exchange Commission. All of the company’s ETFs are managed by external subadvisers. ETFis will become a Virtus affiliate and continue to operate as a multi-manager ETF platform, providing investors access to differentiated investment capabilities from select subadvisers. The company is led by its co-founders, Matthew B. Brown, who manages operations and technology capabilities, and William J. Smalley, head of product strategy and management. The Newfleet Multi-Sector Unconstrained Bond ETF2 will be the first new offering managed by a Virtus affiliate added to the ETFis platform. 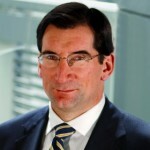 The fund will leverage the Newfleet Asset Management team’s broad experience in multi-sector fixed-income investing in a strategy that will have the flexibility to capitalize on opportunities across all sectors of the bond markets, including evolving, specialized, and out-of-favor sectors, as it seeks to deliver relatively high income and an attractive total return. A registration statement for the fund has been filed with the SEC. The transaction is expected to close in March. Terms were not disclosed. Paul, Weiss, Rifkind, Wharton & Garrison LLP acted as legal advisor to Virtus. Haynes & Boone LLP acted as legal advisor to ETFis. This press release contains statements that are, or may be considered to be, forward-looking statements. All statements that are not historical facts, including statements about our beliefs or expectations, are “forward-looking statements” within the meaning of The Private Securities Litigation Reform Act of 1995. These statements may be identified by such forward-looking terminology as “expect,” “estimate,” “plan,” “intend,” “believe,” “anticipate,” “may,” “will,” “should,” “could,” “continue,” “project,” or similar statements or variations of such terms. Our forward-looking statements are based on a series of expectations, assumptions and projections about our company, are not guarantees of future results or performance, and involve substantial risks and uncertainty as described in our most recent Annual Report on Form 10-K or in any of our filings with the Securities and Exchange Commission (“SEC”), which are available on our website at www.virtus.com under “Investor Relations.” All of our forward-looking statements are as of the date of this release only. The company can give no assurance that such expectations or forward-looking statements will prove to be correct. Actual results may differ materially. You are urged to carefully consider all such factors. For the entire article from MarketWatch, click here. MarketMuse update courtesy of Nasdaq’s Len Zacks. 2015 has started out week for the US equity market but Direxion has a plan to change that. After delivering handsome returns last year, the U.S. equity markets have started the year on a weak note. Slumping crude oil prices, strong dollar and global growth concerns with Europe fighting deflation, Japan still struggling in a recession and China losing steam, are weighing upon the market sentiment, leading to increased market volatility. Below, we have highlighted some of the details of the newly filed product. As per the SEC filing, the fund seeks to track the Value Line Conservative Equity Index. The index consists of roughly 170 U.S. stocks that have been selected using Value Line’s proprietary Safety Ranking. The ranking methodology measures the total risk of a stock and its capability to withstand an overall equity market downturn relative to the other stocks in the Value Line universe which consists of roughly 4,000 stocks. The total risk or volatility of each stock is measured through its Price Stability Score and Financial Strength rating. The Price Stability score for a stock is based on a ranking of the standard deviation of weekly percentage changes in the price of the stock over the past five years. 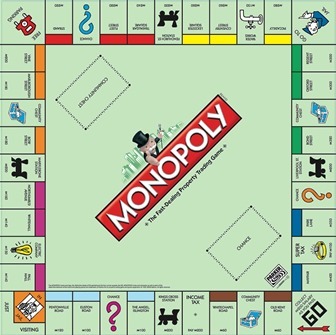 For the Financial Strength rating, a number of balance sheet and income statement factors like the company’s long-term debt to total capital ratio, short-term debt and amount of cash on hand are reviewed to assign a ranking. Sector-wise, consumer staples and health care form a large part of the index. The product could be an interesting choice for investors seeking to avoid market volatility but remain invested in stocks. 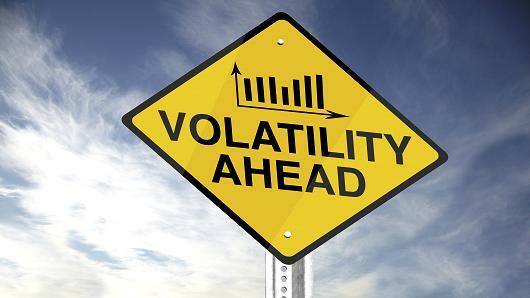 Low volatility products have proven beneficial for investors given their superior risk adjusted returns. These funds have gained immense popularity in the past few months given increased market volatility on the back of global growth concerns, slumping crude prices and worries related to the timing of interest rate hike in the U.S.
For the complete article on Nasdaq’s site, click here. MarketMuse update courtesy of extracts from Tom Lydon’s 31 December ETF Trends story. The Winklevoss twins, Cameron and Tyler, famed for suing Mark Zuckerburg, claiming he stole Facebook from their own social networking site ConncetU, have started another new venture. In April 2013, they claimed that they owned of 1% of all Bitcoins in existence. 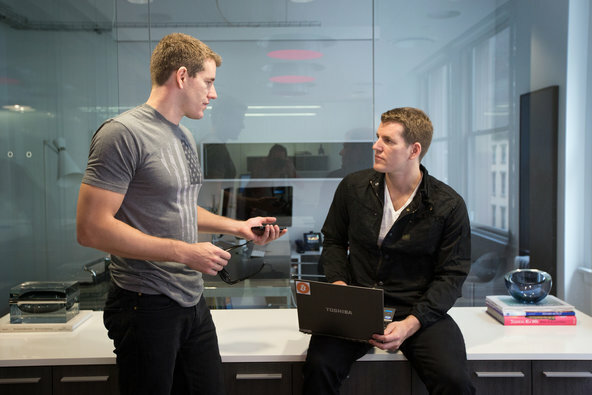 The Winklevoss twins now prepare to sell their Bitcoin shares on the Nasdaq. On Wednesday, the Bitcoin Trust filed with the Securities and Exchange Commission to sell 20.1 million shares on the Nasdaq exchange, reports Ciara Linnane for MarketWatch. The filing did not include a launch date or expense ratio, indicating the Bitcoin Trust is not close to coming to market. “The investment objective of the Trust is for the Shares to reflect the performance of the price of Bitcoins, as measured by Winkdex, less the expenses of the Trust’s operations,” according to the SEC filing. The trust’s sponsor is Math-Based Asset Services LLC, which was formed in mid-2013. The company will run the new benchmark, tracking bitcoin prices based on “qualified bitcoin exchange transaction data… over a trailing two-hour period,” according to the SEC filing. Bitcoin is one of the more popular digital currencies available. 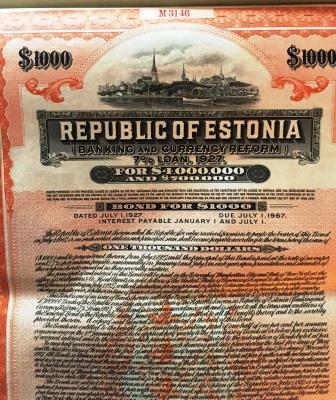 The cryptocurrency can be stored and traded electronically. The currency is stored in a digital wallet and is traded through a downloadable software or through a third party provider. 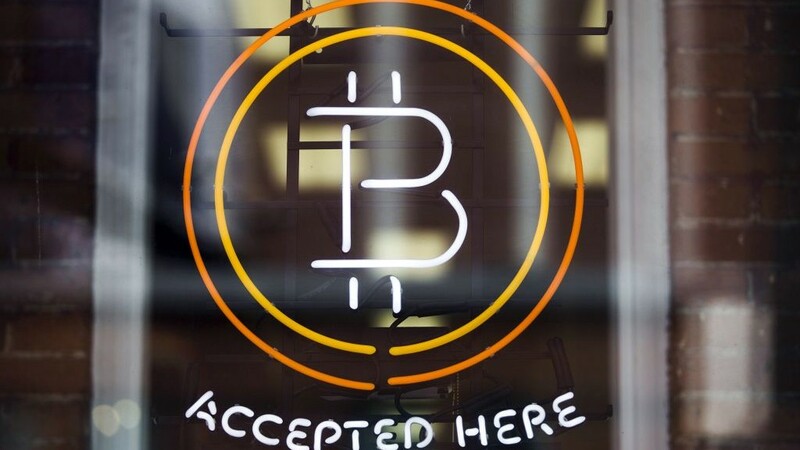 The main thing traders should understand is that the Bitcoin is itself is considered a form of currency and not just an online service to transfer U.S. dollars. Many users utilize the currency because the bitcoin is decentralized – there is no central bank issuing or monitoring the currency. Every transaction is validated by a Bitcoin miner – miners are entities within the Bitcoin network that validate the transaction by solving a mathematical proof. This system prevents double counting of Bitcoins and keeps a record of all transactions. Bitcoin prices have gained widespread attention when the value of the currency skyrocketed above $1,000. However, the cryptocurrency has stumbled in 2014, declining 58.7% year-to-date to about $315. For Lydon’s original article from ETF Trends, click here. After yesterday’s post regarding 2014’s Best and Worst ETFs, NASDAQ has release a list of the 5 best ETFs to buy for 2015. Below are excerpts from the article. With the clock about to roll past 2014 and into the New Year, it’s time for investors to be looking ahead with regards to their portfolios. That can be a daunting task, however, as it’s difficult to predict exactly what will happen over the progression of a year. ETFs are intraday tradable baskets of stocks or other assets that make playing various global trends — both short and long-term — easy. And as some trends are already beginning to emerge, we can use them to tweak our portfolios accordingly to maximize profits. With regards to the United States, all signs point to sunny with a slight chance of recession. For the most part, things are going pretty good. Job growth seems to be picking up, while lower gas prices have consumers dancing in the streets. The unfortunate thing is that falling oil prices have the potential to cripple one of the main drivers of the recent U.S. growth. Add in the fact that the Fed’s loose monetary policy has pushed investors into riskier assets in order to find returns/yield and you have a recipe for increased volatility. Which is why the iShares MSCI USA Minimum Volatility ETF (USMV) maybe a good bet. 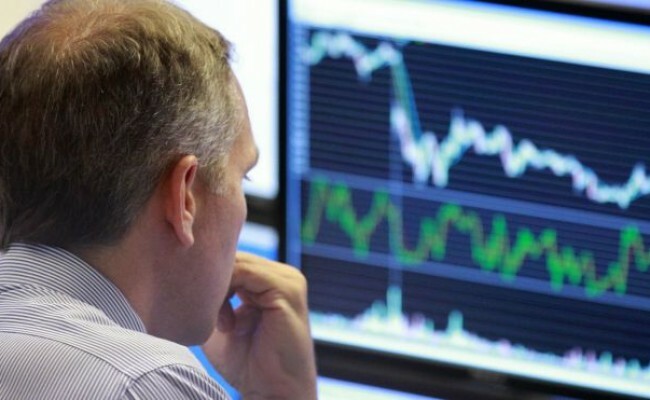 USMV uses screens to kick out high-volatility stocks and capture the upside of the market. That also limits the downside as well as the “bounciness” associated with market movements. Currently, the $34 billion ETF holds 159 different stocks, including Becton, Dickinson and Co. (BDX) and Wal-Mart Stores, Inc. (WMT). USMV’s underlying index has done a good job of fighting volatility and downside risk. Back in 2008, the broader MSCI USA index was down 37% while USMV was only down 26%. While the chance of recession is small, it is building. At just 0.15% in expenses, USMV is a cheap way to fight that potential and is a one of the best ETFs to buy for 2015. Despite the headwinds, both the Dow Jones Industrial Average and the S&P 500 are sitting at all-time highs. That doesn’t make them screaming buys at the current moment. But European equities just might be. Currently, European stocks can be had for a 40% discount to their American counterparts. That in of itself is tantalizing. 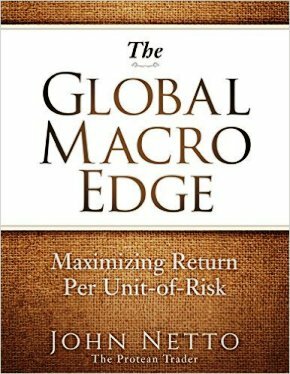 However, the real boost may come from various QE programs being enacted on the continent. That should boost asset prices in the near term. The Vanguard FTSE Europe ETF (VGK) tracks the FTSE Developed Europe Index and includes both large and mid-cap stocks in Europe. Top country weights include the U.K., Switzerland and France. All in all, VGK holds 528 different stocks. That makes VGK a prime play on Europe’s cheapness and potential growth in 2015. Add in Vanguard’s commitment to running cheap funds — VGK only charges 0.12% in expenses — as well as the ETF’s 3.81% dividend yield and you have a great ETF pick for 2015. For the rest of the list from NASDAQ, click here. The Nasdaq stock market submitted paperwork to regulators proposing fuller use of intraday net asset values (iNAV) in the pricing of equity ETFs, arguing that the integration of such a real-time pricing mechanism will limit the poor trade executions that dog the world of exchange-traded funds. While ETF traders and market makers would still be able to use plain-vanilla market orders to transact, the second-biggest U.S. stock exchange said the ETF iNAV pegged orders it is proposing constitute a viable way to capture changes in ETF prices that will truly reflect the fact that iNAV is updated every 15 seconds. Nasdaq noted that under the prevailing system iNAVs are typically calculated using the last sale prices of the fund’s components. But it stressed that iNAVs can vary from the fund’s market price and/or can be valued outside of the fund’s prevailing bid/ask spread as a result of the supply and demand characteristics of the fund and/or liquidity present in the marketplace. “The INAV Pegged Order type will be available for all U.S. Component Stock ETFs where there is dynamic INAV data and will offer market participants a greater level of transparency as to fair value, by bringing what has historically been a post-trade analytics tool into the pre-trade environment,” Nasdaq said in the filing that was dated Oct. 12. The exchange said that under its proposal, which is an amendment to Rule 4751, should the iNAV data feed for a particular ETF be compromised or temporarily stopped being disseminated, it would suspend the use of the iNAV pegged order type for that ETF until it was confident the system’s integrity had been restored. 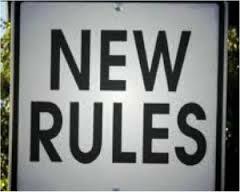 Nasdaq said that if the SEC approves its rule change proposal, it could become effective in no sooner than 45 days, though the commission could request extra time to deliberate as to whether the rule should be approved. The exchange also solicited public comments, data and arguments regarding the proposal. NASDAQ apparently understands this challenge. As reported by TABB, and in a rule filing submitted to the SEC, the exchange that will soon be home to Facebook proposes to put ETF issuers in the driver’s seat by facilitating issuer payments to market-makers in consideration for those traders quoting and trading those pesky, “hard-to-trade” aka “illiquid” ETF products that seem to trade by appointment only.